This is so cool…this woman compiled audio clips from the 40’s on about key interviews and comments regarding UFO’s….check it out-A.M.
A historic UFO audio archive documenting the beginning of the modern UFO era has been made available online. The archive was compiled by Wendy Connors and Roderick Dyke, and re-discovered and made available online by Isaac Koi and Giuliano Marinkovic. 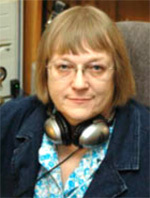 Connors spent several years in the US Air Force working in communications before settling down in Albuquerque, New Mexico. She had an interest in UFOs, and in particular the Air Force’s official investigations into the matter. She was a founding member of the Project Sign Historical Group, which brought together people related to the Air Force’s original UFO investigation program. Over the years Connors began collecting audio clips from some of the most important interviews of the time. She called her project to preserve these audio clips, “Faded Discs.” The clips included comments from the administrators of the Air Force UFO investigation projects, researchers, and other notable people, such as astronauts, actors, and presidents, who had something to say about the topic. She painstakingly re-mastered the audio so it could be preserved for posterity. Some of these interviews include Kenneth Arnold, the pilot who had a very important UFO sighting that ultimately served as the impetus to the Air Force’s entrance into UFO research. 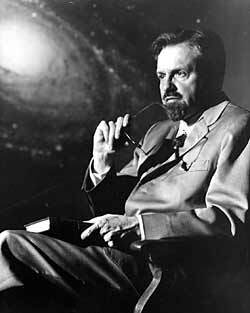 There are clips from J. Allen Hynek, the astronomer who first served as the US Air Force’s debunker, but eventually turned into a proponent for serious scientific research of UFOs. There are clips from many military witnesses, and some of the key people involved with some of the important early cases. Although there was disagreement about the nature of the phenomenon, as there is today, the UFO subject was taken much more seriously when it first caught the attention of the public. Serious civil debate took place among very credible people, and some of those debates can be found in the files. Marinkovic and Koi have been working on archiving important UFO files and disseminating them among UFO researchers. We have posted their discoveries on OpenMinds.tv before. Marinkovic said Connors’ Faded Disc compilations were very hard to find, and it took him a few years to locate them all. Take some time and download and listen to the files. They are fascinating and informative. The work of archivists such as Connors, Dyke, Koi, and Marinkovic is very important. If not for their work an important part of our history could be lost to obscurity, and I for one am very grateful for the work they do. You can find the Faded Disk archive at Archive.org. NextALERT NEWS Fire in the Sky News Meteor outbreak underway! ‘Booms’ being reported!